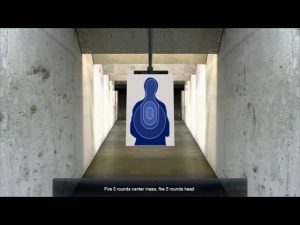 Course of Fire™ Expandable Skill Trainer Qualification Software enables users to replicate the traditional shooting range experience. It is designed for the purpose of helping law enforcement agencies meet their firearms training standards. 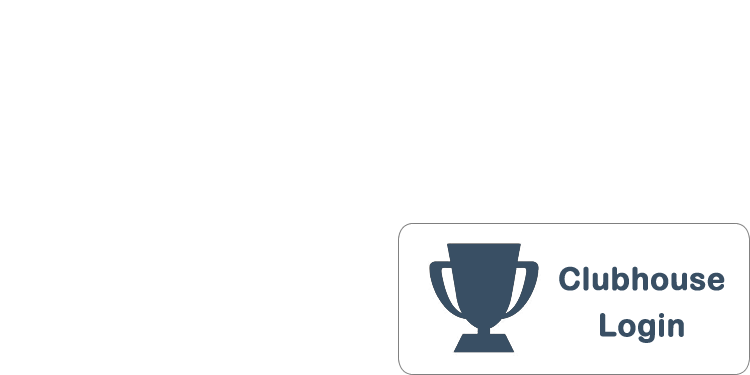 The user-friendly GUI features include a simple menu interface, course editor, and a language editor. Laser Shot’s Course of Fire qualification courseware is able to provide training for up to four shooters or shooting lanes on a single system when properly equipped. 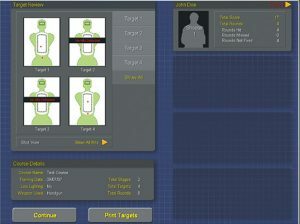 The option to expand to eight or twelve shooters is available when additional systems are networked together across two or three additional screens. An instructor is able to control and monitor training exercises for all lanes and display all results from a host computer at their station. 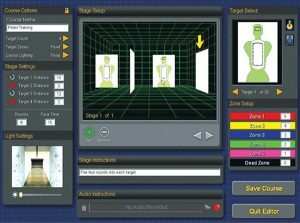 Through the central computer, instructors can create qualification courses with up to four targets for each system which can be adjusted and positioned independently.